Marie Josephine Leopoldine Bracken was born on August 9, 1876 in Victoria, Hong Kong. She was the youngest of the five children of an Irish couple who were married on May 3, 1868 in Belfast, Ireland: British army corporal James Bracken and Elizabeth Jane MacBride. A few days after giving birth to Josephine, her mother Elizabeth died. Her father decided to give her up for adoption to her childless godparents, American George Taufer, an engineer of the pumping plant of the Hong Kong Fire Department, and his Portuguese (second) wife. Josephine’s real father (James) left Hong Kong after retirement and was said to have died at the hands of robbers in Australia. When Josephine was 7, her godmother—whose name Leopoldine was added to her own—also died. In 1891, her foster father remarried another Portuguese lady from Macau, Francesca Spencer. Because Josephine could not get along with Taufer’s new wife, she (Josephine) ran away and sought shelter in a boarding house run by nuns. After two months, either she was taken back or she voluntarily returned home. Josephine and Taufer first met Rizal in Hongkong, when they consulted the Filipino doctor for Taufer’s failing eyesight. In 1895, the Taufer family sailed to the Philippines to seek treatment from Rizal for Taufer’s cataract. They arrived in Manila on February 5, and later that month, Josephine, George, and a certain Manuela Orlac, the mistress of a friar at the Manila Cathedral (Bantug. p. 117), sailed to Dapitan where Rizal had been living as a political exile for three years. The petite Josephine who had blue eyes and brown hair was 18 years old at the time of their arrival in Dapitan. Josephine was said to be not a remarkable beauty, but she “had an agreeable countenance because of the childlike expression of her face, her profound blue and dreamy eyes and abundant hair of brilliant gold” (Alburo). 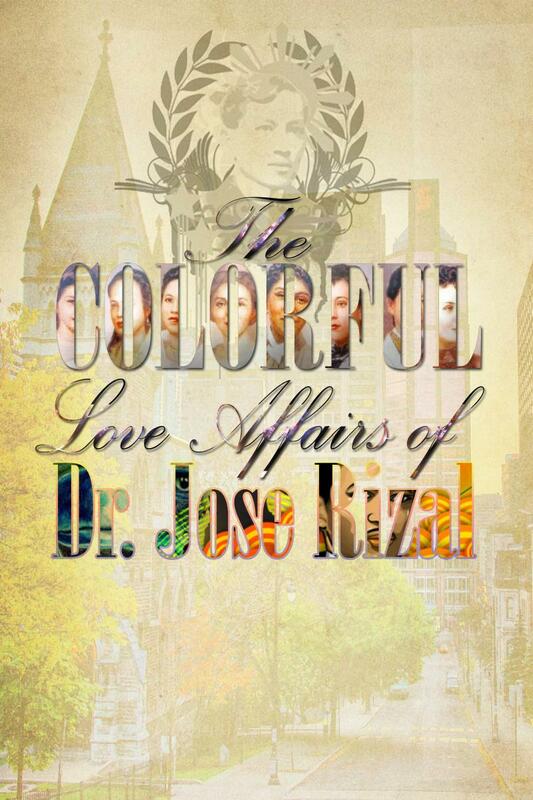 It is thus said that the lonely Rizal was attracted to Josephine who was a happy character despite having lived a difficult life with her adoptive father and his various wives. Unsurprisingly, the two easily fell in love with each other. Rizal worked on Taufer’s eyes but later told the patient that the illness was incurable. It is supposed that it was this news, plus Josephine’s wish to stay with Rizal and “the marriage in Manila of a daughter by his first wife” (Alburo) which led the distressed Taufer to slash his wrist (some say ‘throat’)—an attempt which Rizal and Josephine had fortunately averted. The bearer of this letter is Miss Josephine Leopoldine Taufer whom I was at the point of marrying, counting on your consent, of course. Our relations were broken at her suggestion, on account of the numerous difficulties in the way. She is almost alone in the world; she has only very distant relatives. As I am interested in her and it is very possible that she may later decide to join me and as she may be left all alone and abandoned, I beg you to give her hospitality there, treating her as a daughter, until she shall have an opportunity or occasion to come here. I have decided to write the general about my case. Treat Miss Josephine as a person I esteem and value much and whom I would not like to be unprotected and abandoned. When Taufer left for Hong Kong, it was with Narcisa that Josephine stayed. The rest of Rizal’s family was suspicious that Josephine had been working as a spy for the Spanish friars. Some references claim that even before Taufer and Josephine left for Manila, Rizal had already proposed to her and applied for their marriage. Dapitan parish priest Antonio Obach however wanted Rizal’s retraction of his anti-clerical views as a prerequisite and would only grant the church ceremony if Rizal could get permission from the Bishop of Cebu. “Either the Bishop did not write him back or Rizal was not able to mail the letter because of the sudden departure of Mr. Taufer” (Wikipedia). When Josephine returned to Dapitan, the church wedding she hoped for could not happen. Rizal would not retract and so Obach denied them the permission to marry, and “the Bishop of Cebu confirmed the priest’s decision” (Bantug, p. 118). 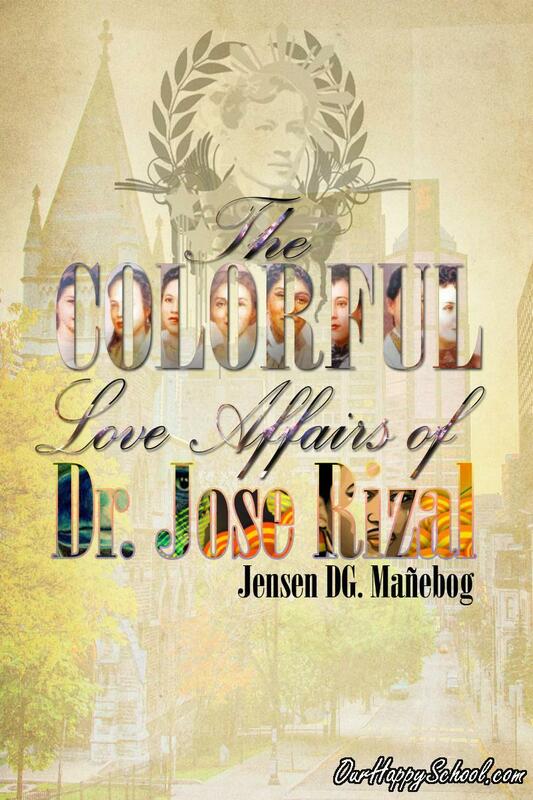 With Josephine’s consent, Rizal nonetheless took her as his wife even without the Catholic blessings. The couple married themselves before the eyes of God by “holding hands in the presence of two witnesses” (Alburo). Aware of the circumstances, Doña Teodora told her excommunicated son that loving each other in God’s grace was better than being married in mortal sin (Bantug, p. 120). These words somewhat gave Rizal a peace of mind. But still believing that his live-in relationship was somewhat of a shame, Rizal never told his friend and confidant Blumentritt about it. Depending on the reference one is using, Rizal and Josephine lived together either in Rizal’s ‘casa cuadrada’ or octagonal bamboo house. In his letters to his family, Rizal related that Josephine “turned the house into a love nest, stocking the pantry with preserves and pickles” (Alburo). To prove the depiction, the letters were accompanied by packages of food “prepared by the woman who lives in my house” (Alburo). Josephine kept house and took good care of “Joe,” her nickname for Rizal. She “cooked, washed, sewed, and fed the chickens. She learned to make suman (a sticky rice dessert wrapped in banana leaves), bagoong, noodles, and bread. With the Spanish she learned from Rizal, she could write a simple letter. His [Rizal] nephews called her ‘Auntie’” (Bantug, p. 120). Before the year ended in 1895, the couple had a child who was born prematurely. “Rizal’s sisters say the boy was named Peter; others say he was named Francisco, after Don Francisco Mercado” (Bantug, p. 121). Unfortunately, the son died a few hours after birth. Rizal was said to have “made a pencil sketch of the dead infant on the jacket of a medical book. He then buried the baby in an unmarked grave in a secluded part of Talisay” (Bantug, p. 121). 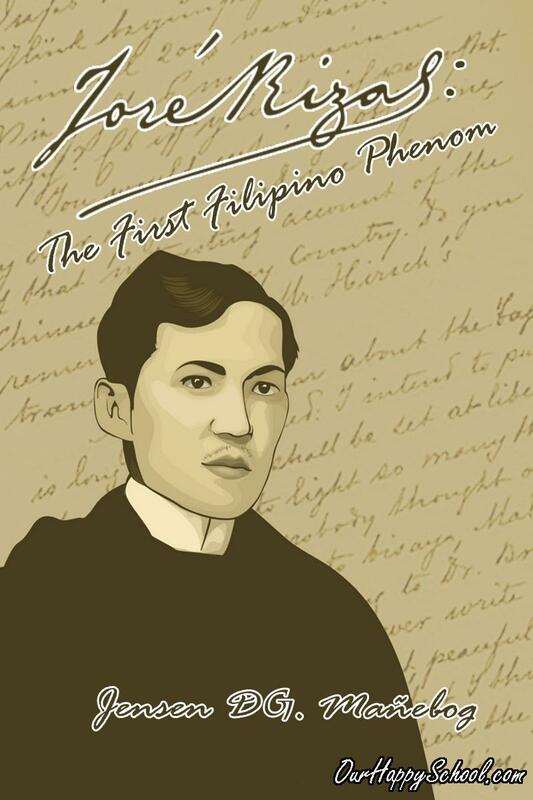 Filipino historian Gregorio Zaide narrated that Rizal played a prank on Josephine which frightened her so that she untimely gave birth to an eight-month baby (Zaide, p. 240). But doubting the veracity of this tale, some intriguingly ask questions like: Was the miscarriage due to a fall down from the stairs? Did Rizal push her during one of their quarrels? Or, did they quarrel intensely at all? On July 30, 1896, Rizal received a letter from the governor general sanctioning his petition to serve as volunteer physician in Cuba. 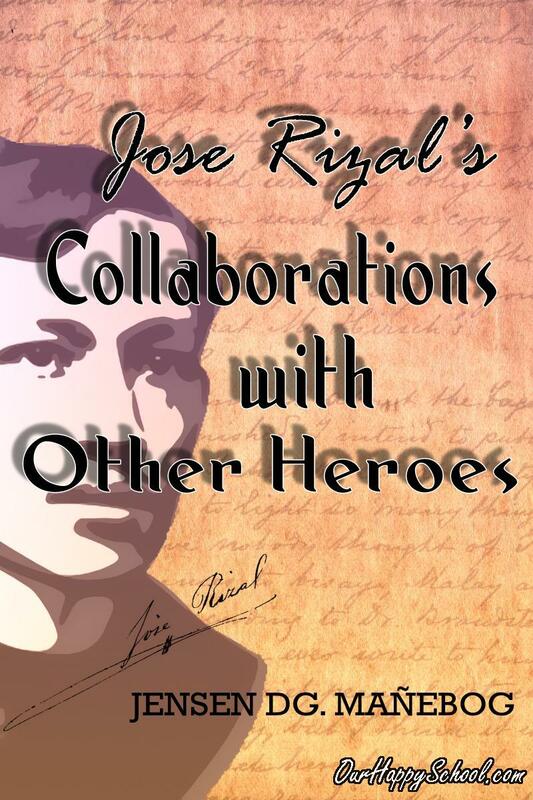 In the late afternoon of July 31, Rizal and Josephine got on the ‘España’ along with Narcisa, a niece, three nephews, and three of his students. The steamer departed at midnight of July 31 and arrived in Manila on August 6. While Rizal was being kept under arrest aboard the cruiser ‘Castilla’ docked at Cavite, Josephine stayed in Narcisa’s home in Manila. While waiting for Jose’s fate, she “filled her time with tutoring in English and taking piano lessons from one of her 15 pupils” (Alburo). When Rizal was tried on the morning of December 26, 1896, Josephine was said to be among the spectators inside the military building, Cuartel de España, along with some newspapermen and many Spaniards (Zaide & Zaide, p. 259). At about 6 p.m. on the day before Rizal’s execution, Josephine Bracken arrived in Fort Santiago. Rizal called for her and they emotionally talked to each other. Though some accounts state that Josephine was forbidden from seeing her husband on the fateful day of his martyrdom, the historian Gregorio Zaide wrote that at 5:30 a.m., she and Josefa (Rizal’s sister) came. The couple was said to have embraced for the last time and Rizal gave to Josephine the book ‘Imitation of Christ’ (by Thomas a Kempis) on which he lovingly wrote: “To my dear and unhappy wife, Josephine/ December 30th, 1896/ Jose Rizal”. There’s an allegation that either the evening before or in the early morning of Rizal’s day of execution, the couple was married in a ceremony officiated by the priest Vicente Balanguer. Nonetheless, the members of Rizal family themselves seriously doubt the claim as no records were found as regards the wedding. Three days after Rizal’s martyrdom, Josephine hurriedly joined the Katipunan’s forces in Cavite. As Rizal’s widow, she could have easily penetrated the revolutionary group but it was said that “Gen. Emilio Aguinaldo was reluctantly persuaded to admit Josephine into the military ranks, providing her with lessons in shooting and horseback riding” (Alburo). Aside from serving as an inspiration to the Katipuneros (being Rizal’s wife), she assisted in operating the reloading of jigs for Mauser cartridges at the Imus arsenal under revolutionary General Pantaleón Garcia” (Wikipedia). She also helped in taking care of the sick and wounded. In fact, ”it was her suggestion to start a field hospital in the casa hacienda of Tejeros” (Alburo). When Imus became under threat of recapture, Bracken made her way through bushes and mud to the forces in Maragondon where she witnessed the Tejeros Convention on March 22, 1897. When the enemies captured San Francisco de Malabon, “Josephine, accompanied by her brother-in-law Gen. Paciano Rizal, left for Bay, Laguna, passing through forests and over mountains, many times barefoot and riding on a carabao” (Alburo). While in Bay, Josephine was summoned by the Spanish governor general, Camilo Polavieja. She was given the options of leaving the country or be subjected to torture and imprisonment. Owing however to Mr. Taufer’s American citizenship, she could not be compulsorily banished, though Josephine eventually left for Hong Kong in May 1897 “upon the advice of the American consul in Manila” (Wikipedia). Upon returning to Hong Kong, Josephine went back to Taufer’s house. She petitioned for her share of Rizal’s library in Hong Kong, which was under the guardianship of Jose Maria Basa. Though sympathetic to her, Basa could not grant her request because the Rizals, especially Doña Teodora, were contesting the petition and Josephine had no proof that she was legally married to Jose. After her foster father’s death, she married the Philippine-born mestizo Vicente Abad y Recio from Cebu. Some sources introduce Bracken’s second husband as the son of a Hong Kong tabacalera company owner whereas others present him as one of the employees of Tabacalera. It was said that Hong Kong-based Julio Llorente, a Cebuano friend of Rizal, introduced Abad to Bracken. Llorente was also the one who wrote the letter of introduction to Rizal carried by Josephine and Taufer when they arrived in Dapitan in 1895.Llorente must have referred his co-Cebuano Abad to Josephine to be her student in English. As a businessman in Hong Kong, Abad had to learn English. Having been to the Philippines and knowing Spanish, Josephine was thus an ideal tutor for him. The two fell for each other and after a short courtship got married on December 15, 1898. Some narrations state that the couple moved to the Philippines in May 1899 while others say that the family returned to Manila a year after the couple’s child was born. Josephine gave birth to their daughter, Dolores, on April 17, 1900. After some months in Manila, they moved and settled in Cebu City. The place, by then, was already under the control of the Americans and Julio Llorente himself even became Cebu governor under the American rule. Abad returned to Cebu to open the first bicycle store and rental in the place, a business which was said to have blossomed. Their place was on Magallanes and Burgos Streets, just a stone’s throw away from Basilica del Santo Niño and the present-day Cebu City Hall. There, Josephine had taught the young Sergio Osmeña y Suico (better known as Sergio Osmeña, Sr.) who later became the 4th President of the Philippines (1944 to 1946).Osmeña was said to have learned at least two things in the place: paddling a bike and the English language. However, Osmeña’s biographer, Vicente Albano Pacis, doubts that the first Visayan to become Philippine president learned much from Bracken (Alburo). Bracken’s little experience as English tutor in Manila and Cebu (and most probably her connection to the national hero and Llorente) made it easier for her to get a more steady occupation “as public school teacher at the recommendation of [a certain] Dr. David Barrows” (Alburo). The poor condition of her health nonetheless precluded her to work further. To seek a cure for her tuberculosis, she returned to Hong Kong once again. The rapid advancement of Josephine’s terminal tuberculosis of the larynx took its toll on her body and also drained her family’s financial resources. She was confined in St. Francis Hospital, a Catholic charitable institution in Hong Kong. On the eve of March 14-15, 1902, Bracken restfully died in the land where she was born. Because of the contagiousness of her ailment, she was immediately buried the next day at the Happy Valley Cemetery, not too far from the grave of her mother(Grave No. 4258)in the Military Section. A small news item on page 4 of Hong Kong’s ‘China Mail’ reported that she died at “No. 87, Praya East, where she had been residing for some time”. The funeral, the news item added, was “attended by a number of prominent Filipinos.” Her husband who hastily arrived in Hong Kong was said to have witnessed the closing of his wife’s grave. Unfortunately, Vicente failed to indicate to any relative the exact location of Bracken’s tomb, as he himself died the following year, of the same disease, and buried in the same cemetery. However, the idea that Josephine was buried in a pauper’s grave in Hong Kong was fervidly refuted later by her husband’s family. The Abad family could easily afford a decent burial for Josephine, especially with her brother-in-law Jose also in Hong Kong, so argued Dolores, Vicente Abad’s daughter by Bracken (Alburo). Since her mother died when she was about to turn 2, Dolores Bracken Abad did not have vivid memories of Josephine. The tales she knew about her mother were only those related to her by Josephine's in-laws. Remember that she also had no father to tell her about her mom for he himself died a year after Josephine’s demise. Dolores married Antonio Mina of Ilocos. (Though Dolores was not a fruit of Rizal-Josephine’s union, this Ilocano could legitimately boast that he married the only sibling [half-sister] of Jose Rizal’s son). Josephine’s daughter died on December 9, 1987 and was survived by four children. Macario Ofilada, Dolores’ grandson wrote the first full biography of Josephine Bracken, ‘Errante Golondrina’. 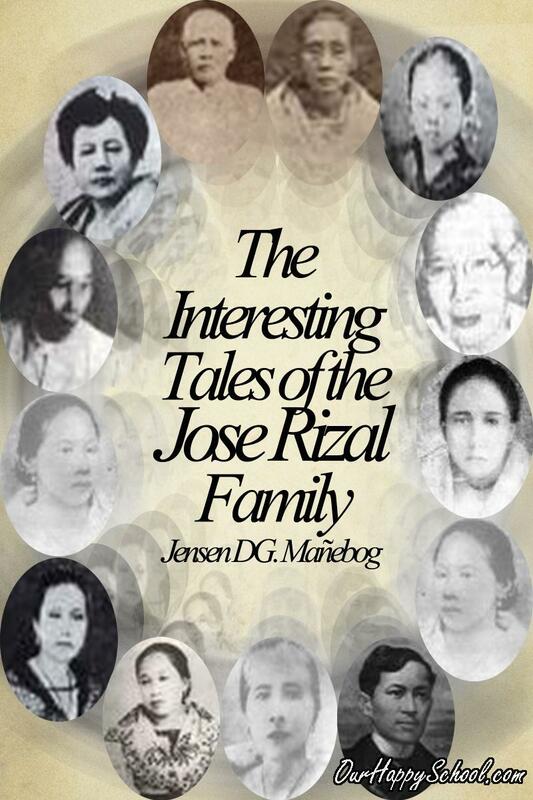 It is almost a historical fact that the Rizal family, except for Narcisa (and possibly Choleng and Paciano), had never liked Jose’s ‘dear unhappy wife’. One may argue that even after the passing of both Jose and Josephine, her memory was not that generously welcomed in the Rizal clan. One friend jokingly concluded, in hindsight, that Josephine was a sort of ‘bad omen’ (if ever you believe in that) and exclaimed, “Malas siya sa buhay ni Rizal.” His ‘theory’ he based on the observation that almost everyone who had become connected to Josephine died young—her own mother (who died shortly after giving birth to her), her real father, her Portuguese step mother, Jose Rizal, Mr. Taufer, and his second husband Vicente Abad. Remember that when Bracken and Taufer arrived in Dapitan in 1895, they were with a certain Manuela Orlac. It was Orlac’s being a mistress of a friar which caused some of Jose’s sisters to presume that Josephine had come as friars’ undercover. While staying with Narcisa’s family in Binondo, Bracken would frequently leave the house and return after some hours. To find out where she was going, the Rizal sisters asked someone to trail and keep an eye on her. One afternoon, it was discovered that she had gone to the archbishop’s place. Josephine later confessed that she had indeed gone to see the church official to beg for Rizal’s freedom. The ‘spy-charge’ against Bracken was never proved as it was never true. But even then, the Rizal family could not be persuaded to like her, especially that her union with Jose was not sanctioned by the Church. The family’s antipathy toward her was thus understandable as many were indeed scandalized by the couple’s live-in relationship. As a result, many distasteful stories about the couple were also passed around by gossips. If you go to Spain, you see any one of your fancy you better marry her but, dear, heare me, better marry than to live like we have been doing. I am not ashamed to let people know my life with you but as your dear Sisters are ashamed I think you had better get married to some one else. Your sister Narcisa and your Father, they are very good and kind to me. As a testament of his love for her, Jose Rizal made use of his common-law wife as a model and inspiration in at least two of his artworks: a carving of her head and shoulder (side view) and a plaster statue of her reclining. I am always sorry, thinking of you. Oh, dear, how I miss you, I will always be good and faithful to you, and also do good to my companions so that the good God will bring you back to me. I will try all my best to be good to your family, especially to your dear old Parents: “the hands that we cannot cut, lift it up and kiss it, or adore the hand that gives the blow.” How it made the tears flew in my eyes when I read those few lines of you. Say, darling, say it makes me think of our dear old hut in Dapitan and the many sweet ours we have passed their. Love, I will love you ever; love, I will leave thee never; ever to me precious to thee; never to part, heart bound to heart, or ever to say goodbye. So, my darling, receive many warm Affection and love from your ever faithfull and true till death.